Autumn walk in Hatfield Forest, ViewRanger’s National Trust Walk of the Month. 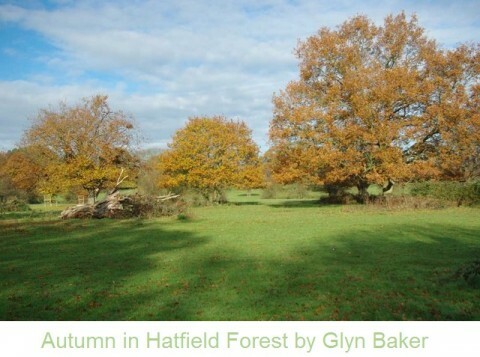 For the perfect autumn walk, and a great way to enjoy all the colours of autumn leaves, why not take a wander around the oak trees of Hatfield Forest in Essex with Nicholas Ambrose’s Hatfield Forest walk. Hatfield Forest was established as a royal hunting forest between the 11th and 13th centuries, and is the only intact forest of this kind that remains today. If you’re lucky enough to see a deer while you’re visiting, you can imagine what the forest was like hundreds of years ago for the people that hunted there. The walk begins and ends in the village of Bedlars Green. The local pub, the Hop Poles, is the perfect place to relax and have something to eat or drink when you’ve finished the walk. Nicolas’ route follows the public footpath through pastureland part of the forest where you’re likely to run into the cows that graze there. 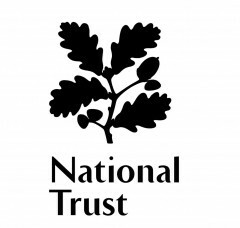 It then bends round the lake until you reach the rest area, where the National Trust café and shop are located. The route can be downloaded to your smartphone via ViewRanger. ViewRanger hosts thousands of walks, rides and cycle routes across the country, which can be viewed online as well as downloaded to a user’s smartphone. Once downloaded the user can follow their chosen route with the ViewRanger app. The GPS technology on the smartphone allows the ViewRanger app to show exactly where the user is, in relation to their route. Also on Nichols’ route is the Shell House. Built in 1759, the house is decorated with thousands of tropical shells, both inside and out. Built as somewhere for owners of the forest to picnic, now you can enjoy it while looking out over the lake. As of this year, you can also rent a boat to take out on the water. Hiring a boat costs £8 per half hour and is available at the weekends and during school holidays. The walk continues south through the forest before taking you past Wall Wood, which was incorporated into the forest in 1946. It then turns north past the Ladywell Plantation and back to the start point. 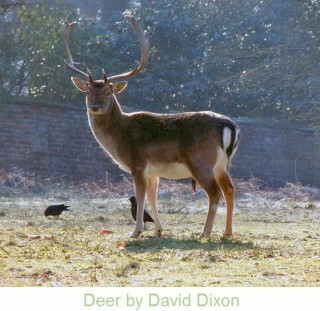 Deer are a very common sight at this National Trust forest, particularly early in the morning. Fallow deer were introduced to the forest around 1100 AD by Henry I, so if you see one out, it will be descended from the king’s original herd! 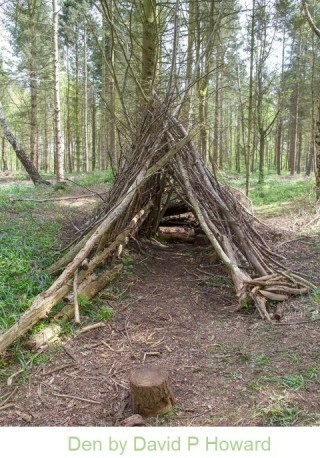 Kids will love exploring the woods, and they might stumble upon one of many dens to hide in. Of course, they can always build their own too. This route is an easy walk, suitable for families and 4.8 miles long. Visitors can bring dogs or bikes, but bikes must be walked around the lake area. If you find a cool den or an impressive tree, why not take advantage of ViewRanger’s Point of Interest feature to save it on your map. Just click on Create PoI in the options menu and place it on the map. And if you take a picture, send it in to us on our Facebook or twitter pages.